A former English teacher, Jane holds an MA in Writing from the University of San Francisco, and loves talking books and working with aspiring writers. Jane continues to work with writer friends all the time, developing the craft and discussing good books. I have learned of Jane Porter in the past week (Yes, I live in a hole-lol). anyway, I cannot wait to her books! They sound great!! Thank you, Jessica! I hope you enjoy them!! Jane is an amazing writer and wonderful person. You’ll love her books Jessica! Great guest post! All of my Twitter friends are a-buzz about Jane Porter- so I know if they are a-buzz, it’s a good reason to read her books! Aw, Tamara, thank you! So glad you enjoyed the post! I’ve read older Jane Porter books before. Flirting With Forty (loved it), She’s Gone Country and Odd Mom Out. 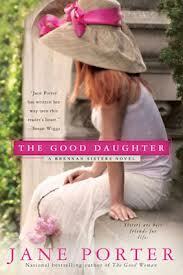 She writes really fun books, and this new series about the Brennans has been on my wishlist. It sounds like a wonderful series to get involved with, and I can’t wait to read them! Thanks. 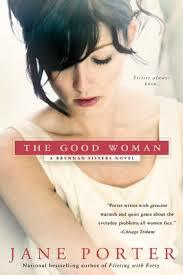 Rita, The Brennan books are my favorites to write with The Good Wife being right at the top! I hope you enjoy meeting Meg, Kit and Sarah. If you read the books, I’d love to hear your thoughts! 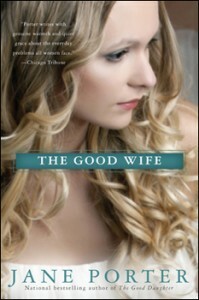 Would love to read ~ another ~ one of Jane’s fab books! Thanks for the support, Susan C.! 🙂 I hope you enjoy it! Thanks for the chance to win. I’ve been wanting to read these for awhile. Hope you enjoy the books once you get to reading them, Summer! I see many, many requests for additional books featuring these characters from your fans Jane. I hope you’re going to make them happy! I just picked up The Good Wife recently not only because it peaked my interest but also because I grew up in the Bay Area. It’s always extra nice to read a book that takes place in a location that we’re familiar with. I look forward to reading more about the Brennan family. Thank you for joining Susan’s blog!